Theydon News Desk wishes everyone a Merry Christmas and a Prosperous New Year. 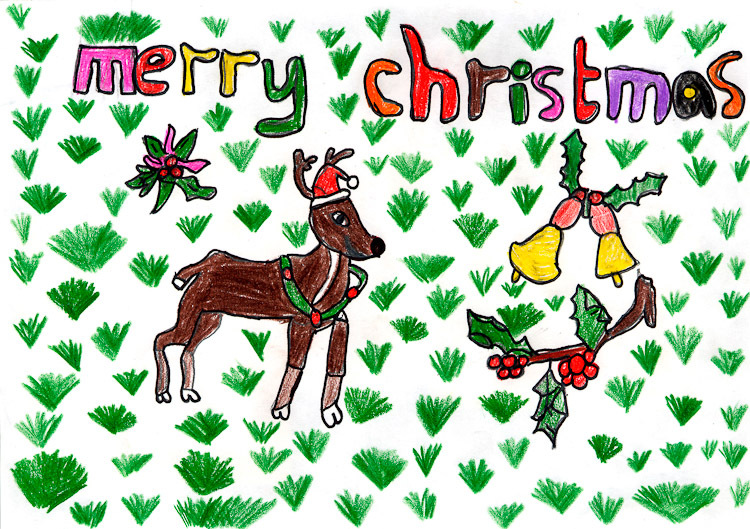 The winner in this years Christmas Card Competition for the pupils of Theydon Bois Primary School run by the Parish Council in conjunction with Theydon Newsdesk was Jayden Gill of class 5/6M. 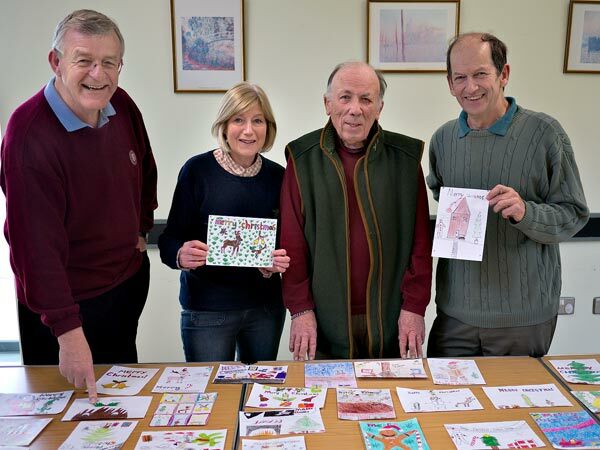 The standard seems to get better and better each year with some wonderful entries from the children, so it was a very close contest making it again hard work for the judges. There is a Key Stage 1 and Key Stage 2 Winner and these with all the winners and runners up from each class can be seen in our Gallery of Cards with Winners Names here. The overall winner was Jayden Gill and his entry is the Parish Council's card for 2012. The banking is collapsing due to subsidence and contractors are carrying out emergency piling works to support it. They can only work when the M11 is closed, so can't start until late. They have permission to work until 02:30, but are currently finishing at 00:30. The good news is that they are finished on the night of Weds 19th. The bad news is that they will start again on January 7th for three weeks. Environmental Health at EFDC have been informed and our local police are aware of the situation. The contractors say that they were looking in to ways of reducing the noise level. 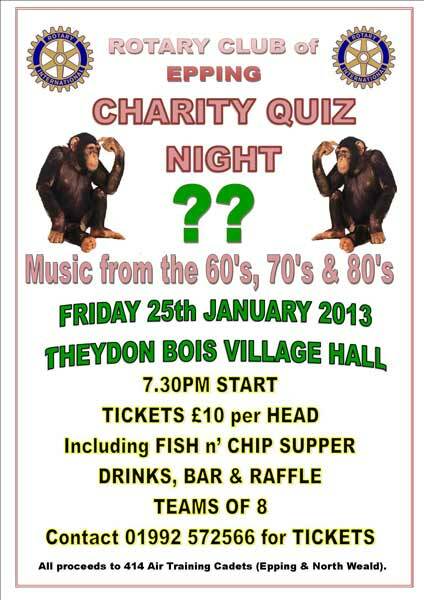 Your chance to to test your music knowledge and support the 414 Air Training Cadets. Don't forget that before the start of the Christmas Market in Forest Drive at 6.30pm (see below)the ceremony of the switching on of the Village Christmas Tree Lights will take place at 6.15pm outside the Village Hall. The lights will be switched on by Villager of the Year 2012, John Eaton. 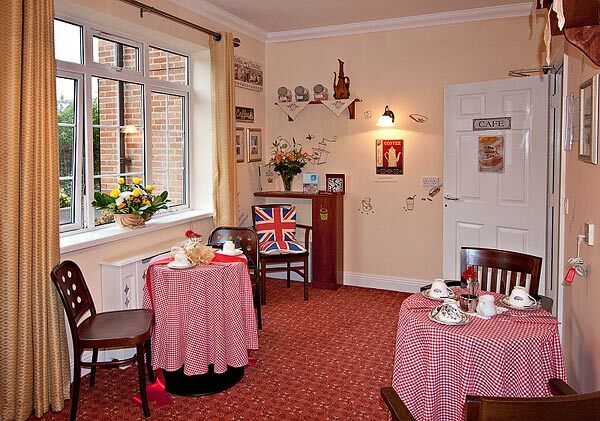 The Frank Foster Care Home in Loughton Lane run by Runwood Homes has opened a ‘Life Café’ for residents and their visitors. 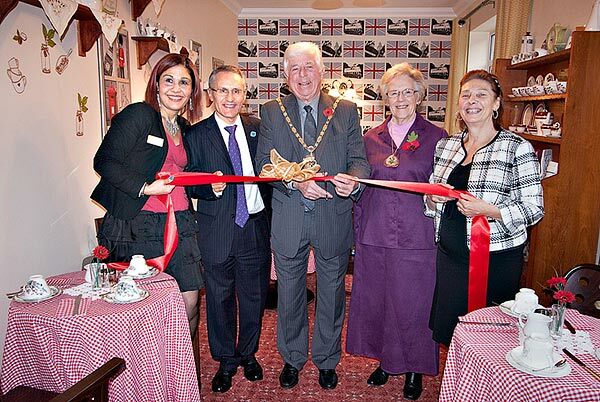 Called the Queen's Café because of its royal theme it was opened by EFDC Chairman Brian Rolf accompanied by Mrs Rolf, Runwood Homes Director of Operational Services - David Parry, Frank Foster Manager - Emel Gunay and Havering Councillor Georgina Galpin whose husband is a resident at Frank Foster House. L - R: Emel Gunay, David Parry, Cllr. Brian Rolf, Mrs. Rolf & Cllr. Georgina Galpin. At the opening David told a large audience that; “Runwood’s approach to providing care for older people living with dementia is entitled; LIFE: Living in Full Engagement. We believe that people in our care have a life worth living and a story worth telling. We will all live with someone, work with someone or know someone living with dementia, we must be prepared as a society to offer the best possible care and life to people. It is lamentable that we do not often involve, engage or understand the lived experience of people with dementia. The impact of dementia cannot and must not be understated for the individuals concerned their families and friends we know that much can be done to help, support understand them. We must focus on who people are their rich life histories, for it is our lived experiences our unique likes and dislikes and our coping mechanisms that will directly affect how we are affected whilst living with dementia. 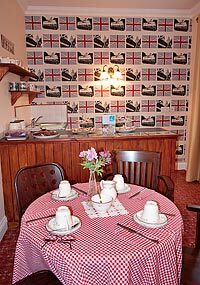 Our Life Cafes are old fashioned tea rooms providing a place to visit, to relax meet family and friends and enjoy the experience. It can be a real challenge visiting someone in a care home, not knowing what to say, distressed at losing a loved one to the mists of dementia, a person living with dementia may confuse a son for a deceased husband this is distressing and then arguments about reality may ensue. Stepping into the world of a person living with dementia is important engaging with them but not trying to drag people into our reality”. David recounted the story from the opening of another of their ‘Life Cafes’ when residents were taken out from one door of the home and into the café via another door. They all enjoyed a wonderful afternoon out, away from the home. “The Life Cafes break down the difficulties and those in our care living with dementia and families can go out for the day without leaving the home. It is about awakening the past and engaging in the present. Do please visit us”! The Acting Parish Clerk or Assistant Parish Clerk are normally available weekday mornings at the Village Hall, but from December 2012 until further notice the Parish Office will only be open Wednesday to Friday from 10.00 a.m until 12.00 M/D. Margaret Lechley present Assistant Parish Clerk is leaving at the end of November, but the Parish Council hope to appoint a new Assistant Clerk soon and resume Monday - Friday opening. Officially the office will be open to the public to visit from 10 a.m until 12 noon Wednesday to Friday . The Indian Ocean Restaurant in Theydon Bois has been named the best South Asian restaurant in the country after winning the Tiffin Cup 2012. The grand final of the annual competition took place at Bellamy’s restaurant in the Houses of Parliament with a competitive cook-off by the 12 finalists from across the country. The Indian Ocean, which had been nominated by Epping Forest MP Eleanor Laing - prepared their signature dish – Bengal King Prawns - which received top marks from the judging panel. The winners were announced by the Speaker of the House of Commons, the Rt Hon John Bercow MP, who also presented the finalists with their Tiffin Cup chef’s hats and jackets. The competition, now in its seventh year, is organised by the Tiffin Club of MPs who invited their colleagues to nominate the best restaurants from their constituencies. This year the competition received a record 89 nominations. The judging panel was made up of a number of special guests including celebrity chef Ainsley Harriott and restaurant owner Sanjay Anand MBE, who marked each contestant’s specialties. All proceeds from the event went to the charity World Vision. Our Parish Council is organising another Christmas Market this year, bigger and better than last year and hopefully without the rain. Santa will be in attendance as usual and many of the shops and stalls will have special christmas offers. 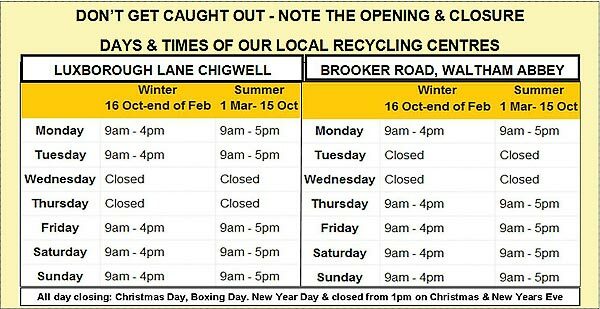 So this is an opportunity to buy your Christmas gifts and support our local shops at the same time. 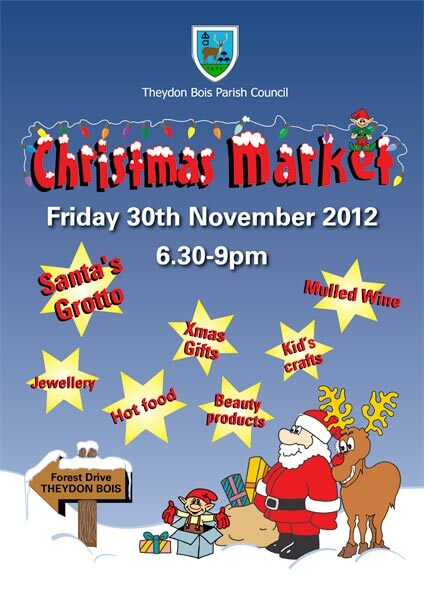 The market will take place in Forest Drive from 6.30pm - 9.00pm on Friday 30th November. 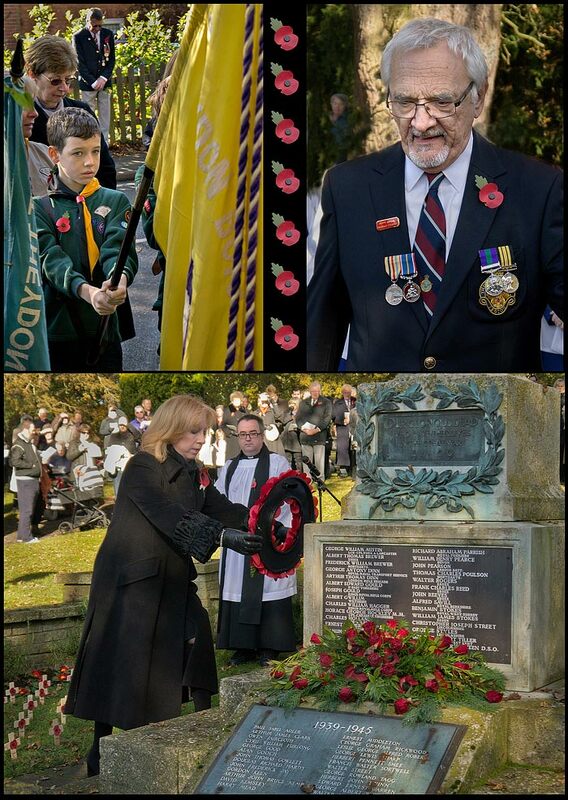 In this mornings bright autumn sunshine many of Theydon's villagers, from the the very young to our more senior citizens, attended at the war memorial to honour those those who have died in two world wars and the more recent conflicts. Wreaths of poppies were laid at by Eleanor Laing MP, Our District Councillors, Parish Councillors and representatives of various village groups. 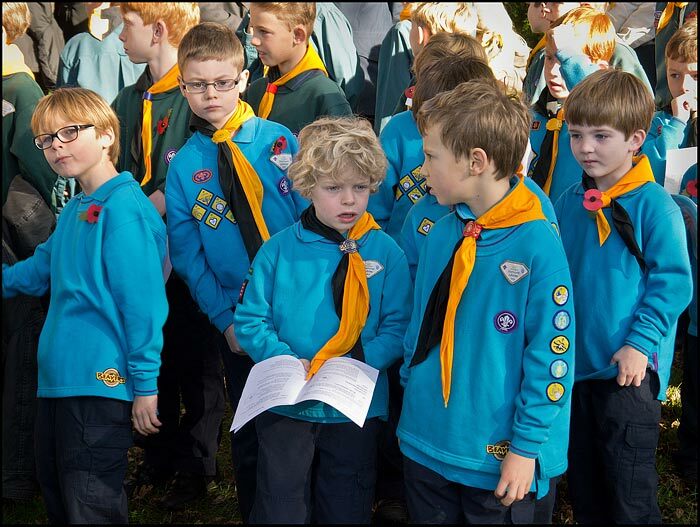 After the two minutes silence and the sounding of the last post a service of remembrance followed in St. Mary's Church. 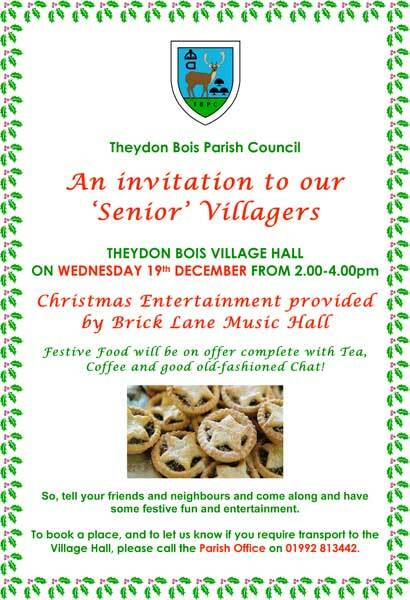 The next Parish Council event for Theydon Seniors is a Christmas themed afternoon with festive food and entertainment. It takes place at 2.00pm - 4.00pm on Wednesday 19th December. Please book with the Parish Office as usual. A Christmas gift fair with a difference is being held by St Clare Hospice at Theydon Bois Village Hall, on Wednesday, November 14. Stalls will be selling a range of items from candles, pottery, ceramics, jewellery and scarves to wooden toys, flower arrangements, garden gifts, cards, calendars, knitwear, children’s pictures and ladies clothing, perfect ideas to kick start your Christmas shopping! The event is being sponsored by Loughton-based Roffeys estate agents. The fair, at the village hall in Coppice Row, runs from 10.30am until 3.30pm. Homemade refreshments and cakes will be available. Admission is £3 for adults (children free). St Clare Hospice Community Fundraiser Camilla Wood said: “This is an entirely new take on previous Christmas Fairs. “We are offering those special gifts that you would be hard pressed to find on the high street. “The fair will be a great opportunity to get all your Christmas shopping done under one roof! We look forward to seeing you there!" Hundreds of Santa's are set to take part in a fundraising run to raise money for St Clare Hospice. Organisers of the fourth Santa Run - which is being held at the Secret Nuclear Bunker, Ongar Road, Kelvedon Hatch, near Ongar, on Sunday, December 9 - hope as many as 300 Santas will join in the fun. Entrants will be donning Santa suits for the 4km run or walk. Registration costs £15 for adults (16 years and over) and £5 for children. There is a family price of £35 for two adults and two children. Every adult signing up will receive a free Santa suit and every child to sign up will receive a free Santa hat. The run starts at 11am with the Santa's either running, jogging or walking the course. It is hoped the event will raise £12,000 towards the £2.8m needed by the hospice each year to be able to continue to provide care free of charge to its patients and their families. Refreshments - food and drink - will be available and the Secret Nuclear Bunker and Rope Runners will be open after the run if supporters want to make a day of their visit. Secret Nuclear Bunker admission prices are £7 for adults (£5 for five to 16-years) with a family rate of £16.50 for two adults and two children. Rope Runners are offering a 20 per cent reduction on prices - adults £19.20, youth (11-17 years) £15.20 and children (six-ten years) £12. Booking for Rope Runners in advance is advisable and can be done by visiting the website roperunners.co.uk and entering the promo code ‘CLARES’ at checkout. If you have any questions about the election their policy officer would be very happy to talk to you about it. 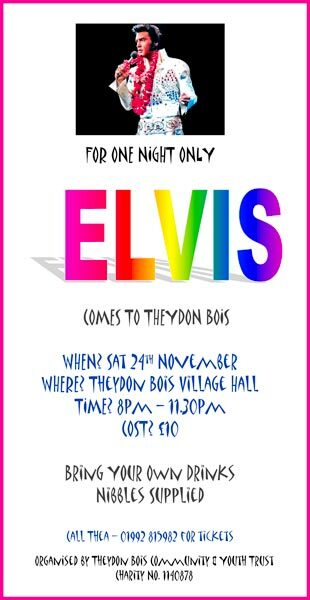 Theydon Bois Community and Youth Charitable Trust are holding this fund raiser in the Village Hall from 8.00pm on Saturday 24th November. Phone Thea on 01992 815982 for more details and tickets. Elvis Lives! The Epping Friends of St Clare Hospice are holding a coffee morning at Theydon Bois Village Hall, Coppice Row, Theydon Bois, on Saturday, November 24 (10am-1pm). All proceeds will go to the Hastingwood hospice. Admission is £1.50, including coffee or tea and a hot mince pie. 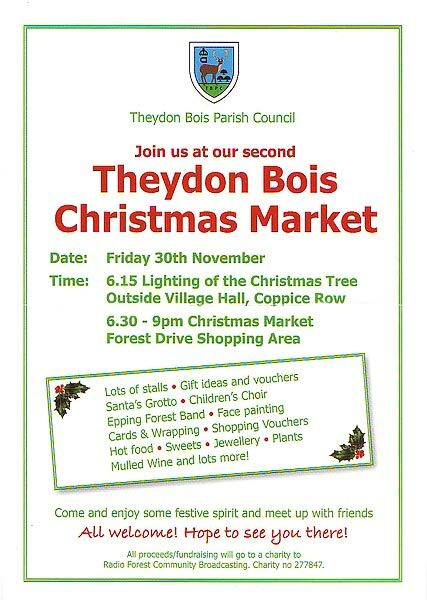 Stalls will be selling Christmas gifts, books, cakes, toiletries and bric-a-brac. This EFDC Consultation has now closed. 228 people downloaded the Guidance notes in Word Document form. 162 people downloaded the Guidance notes in PDF format. Theydon Bois Parish Council and Theydon Bois & District Rural Preservation Society detailed submissions to the Issues & Options Community Choices Questionnaire are now available for you to view from the links below. 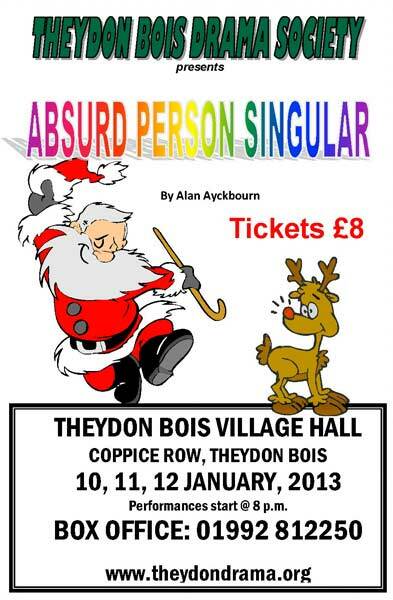 Theydon Bois Action Group may make their submission available from their own web site soon. Epping Forest MP Eleanor Laing was at the Epping Tesco store to present equipment to two pupils from Theydon Bois Primary School as part of the Tesco for Schools and Clubs scheme. Pupil representatives Sydney Gill and Tomas Zahymski received their goodies at the High Street store last Friday fro our MP and and store manager Gareth Lee. 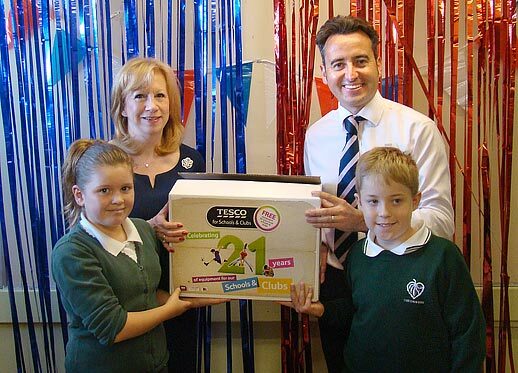 The nationwide scheme, now in its 21st year, enables schools and clubs to redeem vouchers from Tesco purchases for a range of products. Theydon Bois Primary School headteacher Elspeth Bonds said: "Over the years we have benefitted greatly from Tesco Schools vouchers for ICT and PE equipment. "Last year due to great support from families and the wider community we were able to purchase £1,000 worth of equipment. "We are, therefore, delighted to be able to join in the celebration of the anniversary of this scheme." 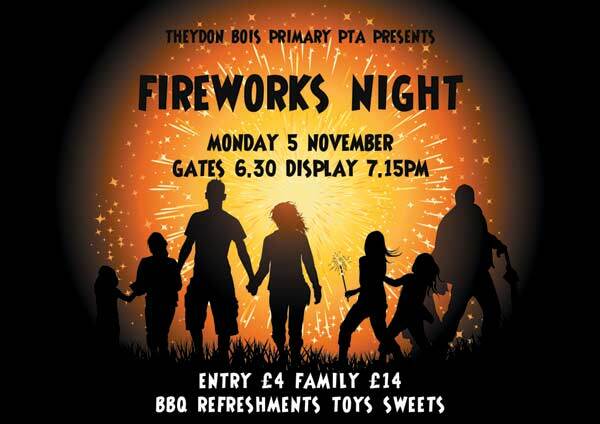 Theydon Bois Primary School Fireworks Night this year will be on Monday 5th November. There will be a barbeque and refreshments available, as well as toy and sweet stalls. We have had a number of complaints from residents and the interest groups had also discovered for themselves that EFDC's online and downloadable Community Choices Questionnaire are both not at all user friendly if completing on a computer rather than with a pen. EFDC is willing to accept the answers in any form (e.g. letter, email) so we have now added a basic reply letter with the Guidance Notes Answers already entered. Please try to edit the letter as suits you and put these answers into your own words as they will then carry more weight. The Interest Groups response letter is now downloadable from our Issues and Options Web Page here. Because of the importance of the Theydon Bois options in EFDC's 'Issues & Options Consultation' to the future of our village and the Green Belt the interest groups who produced the 'Guidance Notes' to aid villagers complete the EFDC Questionnaire (see below) decided to leaflet every household in the village. The leaflet stresses the urgency and need to reply to this consultation and tells village residents how to obtain the guidance notes and help with the consultation questionnaire. 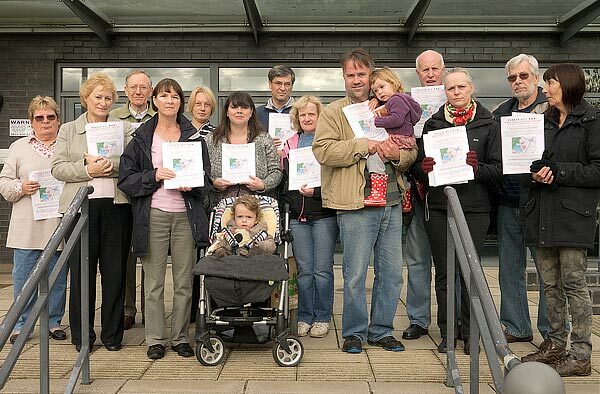 Some of the volunteers who will deliver nearly 2,000 leaflets, which have printed for free by a concerned village resident, gathered at the village hall yesterday morning to collect their copies. It is hoped that every home in our village will have received a copy of the leaflet by the end of the weekend. Unfortunately this only allows a week before the closure deadline at EFDC (12 noon, 15th October) so villagers are requested to act on the leaflet as soon as possible and get their response into EFDC as every opinion will count. The Issues and Option Help Page on this Village Web Site is now live and has useful information and links to help you complete your response to the consultation including Guidance Notes with Model Answers. Because of the important need for Villagers to respond urgently to the EFDC Issues and Options consultation the interest groups that have produced guidance notes to help people respond intend to leaflet the whole village with the poster below. For the help page on the Village Web Site click here. 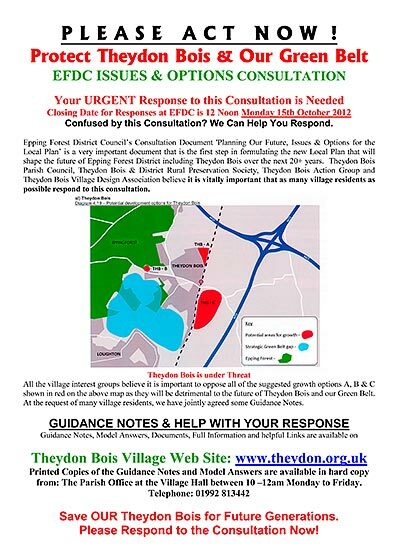 The closing date (12 noon 15th October) fast approaches for Theydon Bois Residents to respond to this important Consultation. Theydon Bois Parish Council, Theydon Bois & District Rural Preservation Society, Theydon Bois Action Group and Theydon Bois Village Design Association believe it is vitally important that as many village residents as possible respond to this consultation. They will all be submitting their own detailed responses to the Issues and Options Consultation. At the request of many Village Residents they have jointly agreed some Guidance Notes with basic model answers to aid residents in submitting their own responses and these should be available from a special page on this Web site tomorrow.